Russia is expected to export more than 200 million tons of coal in 2018, according to the country's energy minister on August 27. "The export of coal from Russia, according to our estimates, is expected to exceed 200 million tons: about 100 million tons in the west and about 100 million tons in the east," Energy Minister Alexander Novak said at a fuel and energy commission in the Kemerovo Region. He said that Russia's total share in the global coal market has increased more than 3.5 times over the past 20 years and amounted to 14 percent. Russia is expected to produce over 420 million tons of coal in 2018. Russian President Vladimir Putin said at the meeting that Russia will further expand its presence in the world coal market. He noted that Russian companies exported more than 190 million tons of coal last year, ranking the third in the world. 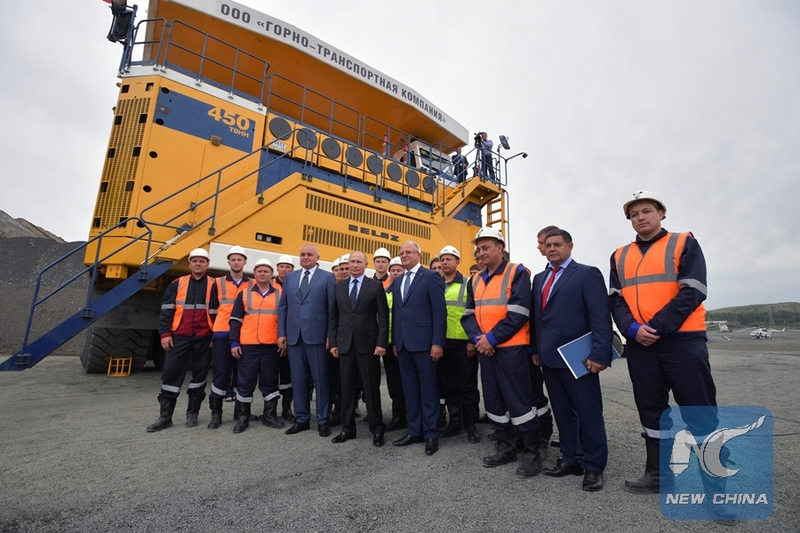 "The current situation provides an opportunity to expand Russia's presence in the global coal market, strengthen its positions and increase our share," he said. To better handle pressure from increasing competition in the global energy market, Putin urged domestic energy companies to diversify supplies and explore new markets, especially in the Asia-Pacific region. "There is a growing demand for a wide range of goods, and this opens up great opportunities for Russian companies," he said.